First nest of the season.. and the first on Crete! After some clear tracks were spotted on the beach on Friday, the Saturday walkers were the lucky ones who uncovered the first nest of the season, which also turned out to be the first of the year on Crete. She had come well up the beach, about 25 mtrs from the shore, and flipper measurement was 70cm, 20cm the shell, so could have been the same turtle who had emerged the day before.The tracks were anti-clockwise and the signs she left were quite confusing. The area looked like a body pit at the western end, and had a small 'camouflage' towards the exit. There were also tracks in the direction of the small bush 4 m away. We marked out an area of about 2m by 1m (possibly 1.5) and explored from the eastern, exit end. We were soon finding hard sand and fairly large pebbles which seemed unlikely to have been disturbed, and we were starting to get disheartened when Hilary felt softer sand, about half way along our marked area, and quite close to the edge nearer the sea. The top egg was finally spotted, more or less in the centre of the area directly behind her exit point. Another good week for our small stretch of beach. We had another nest found, very near the first on A beach and we have had tracks found on most days of the walks this week. To see pictures check out the Gallery photos here - A Beach Gallery ---------- C Beach Gallery. There have also been sightings of turtles off the coast on a few occasions, so it is great to know that they are around and waiting to come ashore to hatch more of their eggs. We hope to see more activity this week and over the next month or two and will keep you updated as to our progress. The first two nests we have found should be seeing signs of hatchlings in around 7 weeks time and we will excavate these nests around 10 days after these first signs appear. 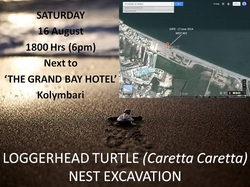 If you wish to see a turtle nest excavation and the chance to see hatchlings on their way to the sea, bookmark this page or visit our Facebook page for more info and regular updates. After a slow start to this week we finally had some good news at the weekend. Saturday saw our first tracks and Sunday our patrols found our first nest and more tracks on our stretch of beach. We are all very excited that the turtles have returned and we hope to find many more nests and evidence of these beautiful creatures over the days and weeks ahead. 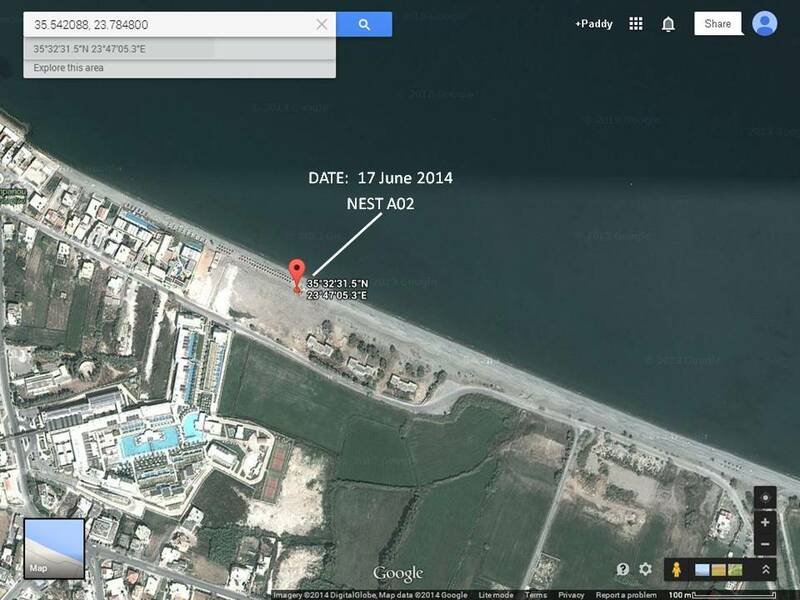 There will be pictures to follow on the beach location pages so stay tuned for updates. Another quiet week for the turtles on our 3.7 Km stretch of beach. We have had some bad weather and a storm to contend with and maybe that is putting them off from coming ashore. Now we have summer finally here, hopefully we will start to get some indications the Caretta Caretta are out there. 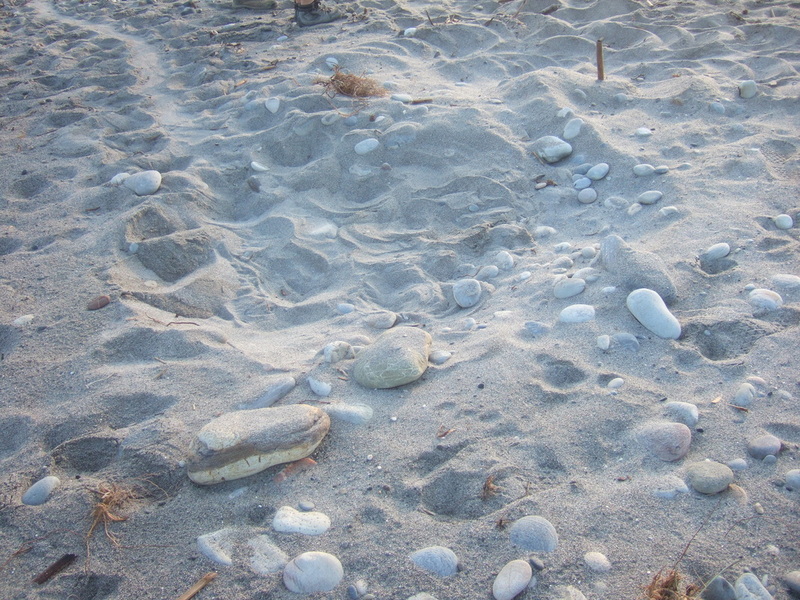 On a good note, the storms have shifted some of the stones around the beach and exposed some of the sand beneath. With a bit of luck this could mean the females find a place to nest a little easier. We all have our fingers (and toes) crossed in anticipation. Here's hoping we have a bit more activity to show next week. The weather here in our small part of Crete has been quite changeable this week. We have had great sunshine and temperatures of 30 degrees C one day, then rain and high winds the next with temps closer to 20 degrees C.
Luckily none of our patrols were caught out in the rain, but it has meant that the beaches have been deserted on some days we do our walks...and I mean both the human and turtle kind! 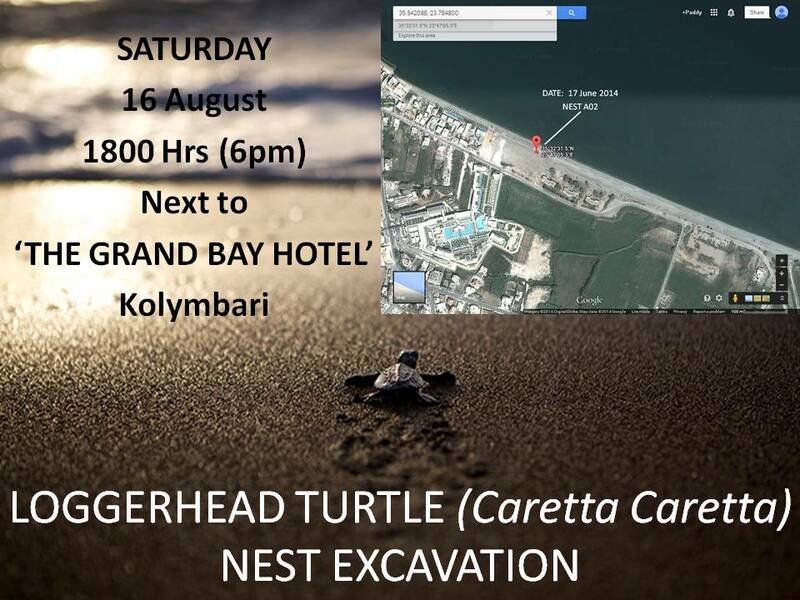 It has been another uneventful week with not even a single track found, but we are as hopeful as ever and know that it is only a matter of time before we start seeing some activity from the Caretta Caretta on our 3.7 Km stretch of beach. Ta lemme (see you later) from sunny Crete.